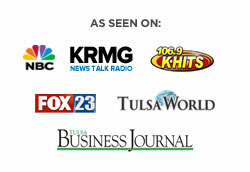 My name is Cory Minter and I’m President of Trinity Employment Specialists, a Tulsa staffing company. I want to talk to you today about on boarding new employees. It’s crazy but roughly about 25 per cent of all people that are going to … That are employed right now are going to have some kind of career transition just this year and roughly about half of all hourly employees, they’re going to change jobs in the next four months. That’s really expensive and it’s even more expensive because roughly about 20 per cent of all upper level positions are going to see some kind of turnover, as well, every 18 months. I want to try and talk to you about this topic and go over three things that I think can really help any company and improve their on boarding process. The first thing that I want to talk to you about is I actually learned from Lee Cockerell who’s the Vice President of Walt Disney World and he was over their operations. I had the opportunity to go to dinner with him one evening and I got to ask him some really good questions about how I could improve my business. This is one of the main things he told me. He’s like, “When you are bringing employees on and maintain your employees, you make sure and be very clear and concise about what it is that you need them to do.” He clarified this a little bit. That way there’s no confusion amongst any of your employees as to what it is that they are supposed to do. Most employees are utterly confused. They think that they understand the vision of what the entrepreneur or what the business owner or what the leader wants, but they don’t because it’s not been clearly communicated. When you use metrics it’s easy to manage, it helps you to be very clear with your employees. The second thing that I learned from Lee is to make checklists, but also, I have a really good friend that is the … He owns a franchise and manages a franchise for Chick-fil-A, and one of the things that I realized in this is that all of the top most productive companies around use checklists for everything. Why would you use a checklist? The main reason you want to use checklists is it keeps people accountable, not just in the short run of on boarding them but it also keeps them accountable to performing the job consistently. If you ever walk into Chick-fil-A, or Walt Disney World, you’ll notice they are consistent with everything that they do. That’s because someone is performing a checklist literally every day and it doesn’t matter if they’ve been there for one month or 20 years. They’re still doing the same checklist, making sure that they’re maintaining the quality of what it is that the company wants. The best companies do this and I think a lot of small business owners might think, “Well, that’s for large companies.” It is really not. I own a small business and I can tell you it has drastically improved our on boarding process and it’s also improved our quality after we’ve on boarded to remain consistent and it lets us deliver the same kind of service to all of our customers every time regardless of who’s there, regardless of what kind of employee you have at the moment. I really think that will help you as well. The last thing is never stop training, ever, ever, ever. Most companies, especially small companies, train the employee to get up to speed to perform at a moderate or an acceptable level and training stops there and they let them go on. I’ll tell you that ongoing training retains employees like you would never believe, and it’s because people want to get better. They do. They want to be in an arena or with an atmosphere where they feel like they are getting better every day. If you don’t provide this for them and they see an opportunity where they could get it, they might take that opportunity. Companies that retain employees the most provide exceptional training and ongoing training whether they’ve been there for one month or 20 years, the person is still improving, they feel like they have a sense of value, they feel like they’re improving and it makes them feel a sense of accomplishment and therefore they stay. Make sure you never stop training.